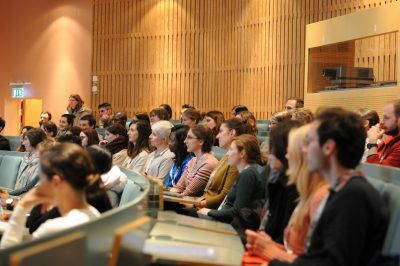 The participants found Stockholm University to be a wonderful venue with green surroundings, comfortable lecture rooms and keen volunteers. The event opened with welcoming speeches by Tomica Mišljenović (University of Belgrade) and Katharina Heye (Goethe University Frankfurt), chairs of the Student Advisory Council, as well as Dämien Bolinius (ACES) and Alexander Feckler (Swedish University of Agricultural Sciences), heads of the Local Organising Committee. That evening, the participants tasted Smörgåstårta, the traditional Swedish sandwich cake, in a relaxed atmosphere and got to know each other during a pub quiz. Students attending the opening of the YES conference. 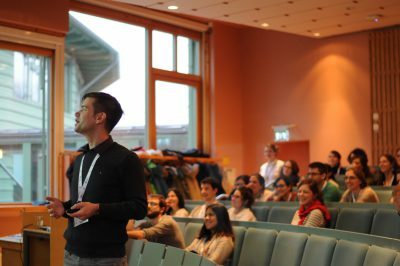 The first conference day addressed the topic of this year’s YES meeting with a series of workshops. Themes such as biogeochemical cycles, climate change effects on epidemiology of infectious diseases, climate change and the Baltic Sea, organic carbon and its influences on contaminants’ fate in the environment, climate change impacts on environmental quality standards and resilience of ecosystems offered new insights into this diverse study field. 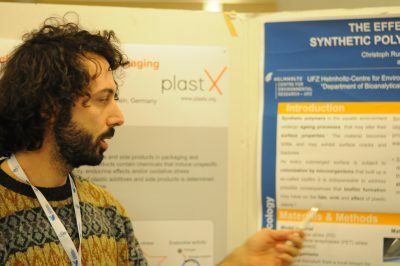 During the conference, young scientists were given the chance to present their research in poster and platform presentations covering nine different session topics, namely aquatic ecotoxicology, effect and exposure modelling, environmental analytical chemistry, environmental science and climate change, risk assessment and regulation and life cycle assessment, microplastics, molecular and genetic ecotoxicology and ‘omics as the future for ecotoxicology, nanomaterials and terrestrial ecotoxicology. 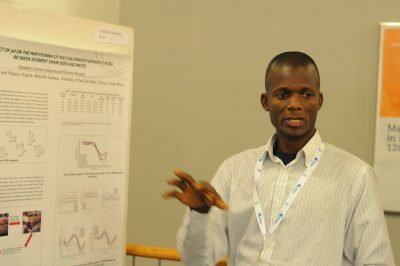 The scientific knowledge was further broadened by six different short courses given during the last day of the conference. Participants could choose between “The ecotoxicology of plastic marine debris”, “Chemicals legislation: understanding and navigating the scene”, “How to make nice figures: The theory and practice of visual displays of quantitative information”, “Analysis of mercury in hair samples using dry-combustion atomic absorption spectrometry”, “What’s in YOUR dust? An introduction to environmental mass spectrometry” and “Teaching in higher education: an overview”. Practical sessions were combined with discussions about common experiences or new tools. The mercury course got a lot of attention during the closing ceremony after all conference attendees had the chance to donate a hair sample during poster socials. The course students presented their analyses and showed that vegans had the biggest reason to celebrate since their mercury content was lowest. 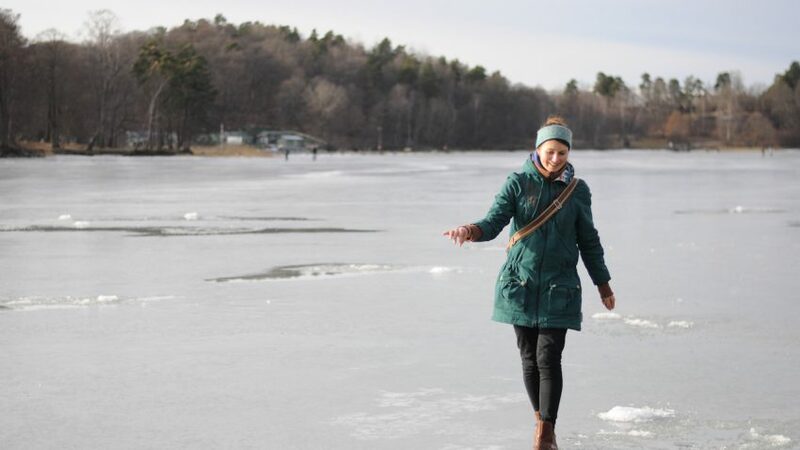 Fish lovers might rethink their eating habits – their mercury content was the highest. 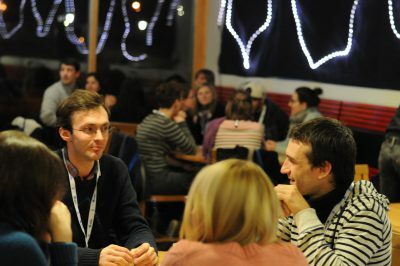 Besides the interesting scientific program, everybody had the chance to enjoy honest and inspiring career talks. Former ACES employee Erik Ribeli (Orbicon AB, Stockholm) represented a consulting company – to our relief, he hadn’t lost his sense of humour! 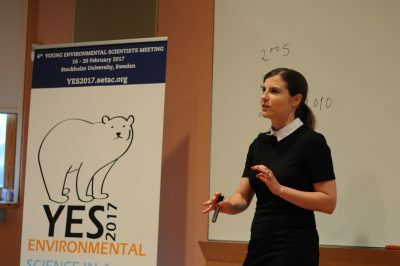 – while ACES professor Ilona Riipinen, the youngest ever appointed professor at Stockholm University, urged young scientists to fight for their career objectives. 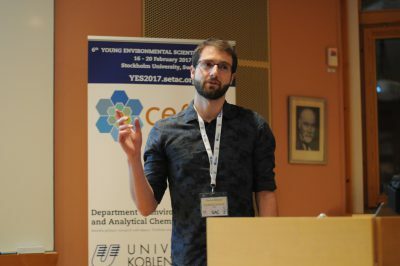 Dragan Jevtić, former chair of Student Advisory Council, described his career path as a labyrinth, which finally led to a job at the European Chemical Agency (ECHA). SETAC meetings are of course not only known for their high quality content, but also for their high quality of fun. 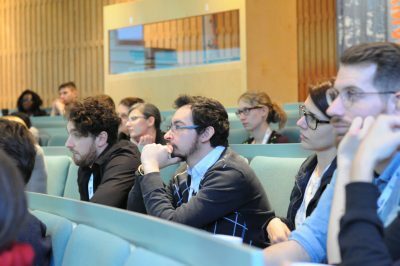 That said, a “Science Slam” took place in the “Green Villa” organised by the Science Faculty Club of Stockholm University. The same place turned into a dancefloor a day later for our delicious Indian dinner and the subsequent party. One of the conference participants volunteered to be the DJ for the night and played songs from all over the world according to participants’ wishes, which turned the dinner into a cheerful international party. Even though dancing went on well into the night, the students showed up for next morning’s presentations and actively participated in the sessions throughout the day. That is the SETAC spirit! 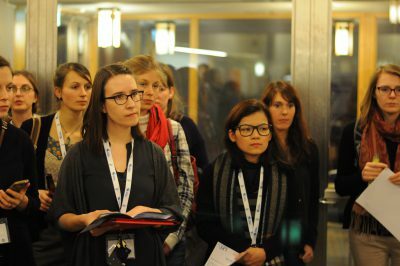 At the closing ceremony, pictures from the event taken by Joseph Koch (Ghent University) were shown. The chairs of the different councils directed words of gratitude and appreciation to all sponsors, organisers, presenters, course and workshop leaders, and participants, who made the conference possible. 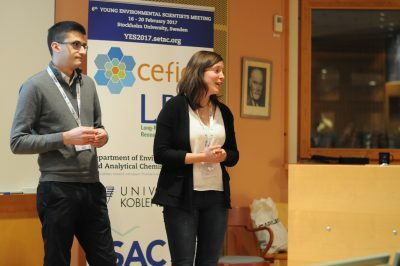 The students of SETAC got invited to next year’s YES meeting in beautiful Madison, Wisconsin, USA (26-29th of March) under the topic of “Stand up for science“ and were encouraged to join the science slam at the SETAC Annual Meeting in Brussels. 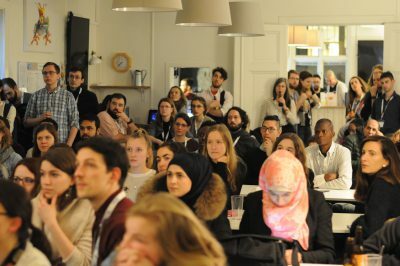 Even after five eventful and exhausting days, nearly half of the participants gathered again for one final evening in a pub in downtown Stockholm and mingled until late. Another YES meeting, organised by students for students, ended joyfully. Once more we wish to thank the Student Advisory Council, the scientific committee, the session chairs, the Local Organising Committee and volunteers, as well as all the sponsors, career speakers, workshop- and course leaders. Last but not least, thanks to all participants! Together we made this event a huge success! 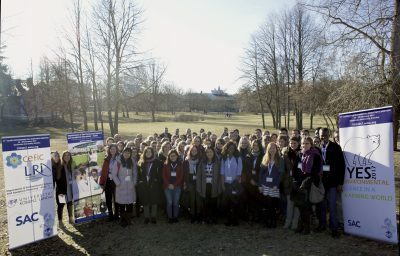 Eighty students from 20 countries participated in this year’s YES conference in Stockholm.